Has The Pressure Become Too Much For Vance Phillips? So has the pressure of campaigning and his personal life finally caused Vance Phillips to crack up? During an interview of Sussex County Council district 5 candidate Rob Arlett, on The Dan Gaffney Show on Delaware 105.9, a segment that Vance Phillips had been invited to participate in, but had declined due to scheduling conflict, Mr. Phillips suddenly burst into the studio unannounced. Mr. Phillips attempted to explain that he was under the impression that he had an open invitation to attend this segment. Dan Gaffney then read the email exchange that clearly showed that it was clear to Vance Phillips that he would have equal time next Tuesday. It was obvious that Dan Gaffney was caught off guard, and eventually asked Phillips to leave the studio. But before leaving Phillips made several accusations towards Gaffney indicating that he felt Dan Gaffney was in the bag for Arlett. Let me say, that once you hear it for yourself I believe that all will have to ask the question, has the pressure of facing his first real challenge for his position on county council, along with the pressure from facing a civil suit in his personal life after being accused of sexual crimes against a then eighteen year-old women, caused him to lose all common sense? Either that, or he needs to discuss having his meds adjusted. 19 Comments on "Has The Pressure Become Too Much For Vance Phillips?" Have you ever thought about applying for the photo editor’s position at the New York Post? Frank is the Pat Fish of Delaware Right. Half gossip and half bullcrap and most of it fabrication. He’d like to be a shock-jock but is just a dead double AA battery. 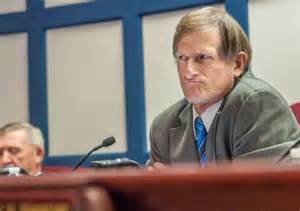 I have been watching this slow train wreck of Councilman Phillips for years now. All I can say is NUTS! Proof is in the pudding with this man. He has gone Nuts! Walk in uninvited and then continue to challenge Mr. Gaffney on live radio has proven the point. Mr. Arlett in my opinion is the clear choice in this race! As far as I’m concerned good bye Mr. Phillip’s and take your band of miss fits with you!! What will Mr. Wilson do without his right hand man in office? 2016 will be another opportunity for us the people to say good bye to THE GOOD OLD BOY CLUB! What will Mrs. Green do with no ones coattails to ride? Good bye to them all! NUTS! Thank you Dan for the link. For Instance did you listen to the segment, or is it too much trouble for you to hear the facts? I have to say that hearing it for the second and third time only makes it more unbelievable. oh. my. god. i want phillips to answer the question dan asked him about whether or not he was on pain medication. this guy needs help. how strange that he has been an elected official for some time. This isn’t Vance cracking up. This IS Vance. Have we forgotten about the assault on the Sheriff and the lawsuit by a high school girl whom he “allegantly” groomed and attacked? It’s not the pain medication, it’s his character. The only difference between before and now is that the pain meds are making him more loose lipped. Vance said that he wanted to talk about the issues in the fifth district. It is abundantly clear that Vance has made HIMSELF the issue in the fifth district. In this few minute exchange, you got to see the true person he is: He’s calculating and deceptive. He ignores boundaries, twists facts, manipulates, is accusatory, intrusive, disrespectful, creates chaos, ambushes and intimidates. All, while using his position. If this is what he does to a respected businessman and an experienced radio show host, on live radio with thousands listening in, what makes people think he used any different tactics against this inexperienced high school girl? This glimpse of the real Vance Phillips is just another perfect example that makes this girl’s lawsuit and story believable. 4ThrTruth, you forgot one thing in your list, let me try using your words and then adding to them. “In this few minute exchange, you got to see the true person he is: He’s calculating and deceptive. He ignores boundaries, twists facts, manipulates, is accusatory, intrusive, disrespectful, creates chaos, ambushes and intimidates. All, while using his position.” And also while hiding behind his supposed Christian faith. There that seems more complete. He’s just channeling his inner Dirk Moore. It’s kind of a mixed bag with Phillips. On one hand, he (and the rest of the county council) recognized that Sheriff Christopher was trying to set himself up as a sovereign entity and wisely squashed that effort before we had to spend untold amounts of taxpayer money defending lawsuits as result. On the other hand, Phillips (some of the other council) allowed rampant development with no thought of infrastructure (aka roads) and now we are face with horrendous traffic. I find it interesting that no one has asked Arlett his opinion on both development and infrastructure and the authorities and responsibilities of the sheriff. When it comes to the general, I intend to get answers to those two issues, but since I don’t vote in primaries, I would have thought that someone would ask those questions. in the hope of Jesus Christ’s…. Pray the Lord’s prayer. It would calm me. Vance is entrenched. When he loses, there will be a newly created, high paying, county job waiting for him. It’s the Delaware Way. Dave, I can tell you that during a candidate forum for all of the 5th District candidates, of both parties, out of the four when asked about the sheriff, Arlett was the only one who did not say it was a done deal, though he did not go so far as to say he would support Christopher. For full disclosure this was related to me by someone present as I was not. Good sleep and diet, control our thought processes to a very large extent and I was lacking both yesterday morning. A two-day fast and three hours of sleep in preparation for a standard out-patient procedure left me groggy. I should’ve stayed home and rested until my rescheduled afternoon appointment, but I felt drawn to the conversation. Upon arrival, I was welcomed by staff and directed to your studio following my introduction. I attempted to enter as quietly as possible, as I have done before when arriving late for a broadcast. I should’ve texted Dan to see if my participation would still be welcomed, but I didn’t. There was no malice intended in this misunderstanding and I hope you both will accept my sincere apology. I am blessed to report that I have been given a clean bill of health and feel well again. I am looking forward to seeing you both on Tuesday and exploring the important issues facing Sussex County. “I am relieved that the Attorney General’s investigation is completed, and that it was thorough enough to discover the whole truth about what happened that afternoon. Having recently had plenty of time to reflect on this event, and evaluate my life in general, it’s clear to me that unchecked passions can be very dangerous. And it’s clear that if the circumstances of that day were to present themselves again, I would conduct myself differently. But we cannot change the past. I want to take this opportunity to apologize to the sheriff, to our party members and leadership, and most importantly to the citizens of Sussex County for this whole unfortunate and embarrassing episode. I am hopeful the sheriff will join me in moving beyond this, not just for our own sake, but for the sake of the people we represent. So much for his pledges. Will he answer the question? Pain medication and a balanced and rational thought proccess do not go together. His time is done. He has overstayed his welcome by at least 3 terms. Hopefully this time we can revoke his reign at the polls. Well, Arlett is not in my district so I will have no say in the matter, but the issue of the sheriff and his sovereignty is a hard and fast litmus test for my vote for any and all. Since I have to wait for the general, I hope I have the opportunity to vote for Lee, but as I said previously Anybody But Christopher. 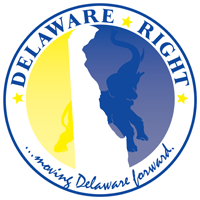 Personally, I wish Delaware would do away with party affiliation for row offices (or even better eliminate row offices all together). There is no Republican or Democratic way to conduct sheriff sales or probate a will. ” Can Arlett beat Wheatley? “.